GENEVA (Sputnik) - Moscow asked the World Health Organization (WHO) to provide specific sources of information on 500 victims of the alleged chemical attack in the Syrian city of Douma but hasn't received comprehensive answers, Russian Envoy to UN office in Geneva Gennady Gatilov told reporters. The WHO issued a statement earlier in the day, stating that about 500 people applied for medical assistance after the alleged chemical attack in Douma, adding that "there were signs of severe irritation of mucous membranes, respiratory failure, and disruption to central nervous systems of those exposed." "All these statements are based on reports from the so-called partners that are not specifically named. They are untrue, and the information raises big questions… We asked to name the so-called partners from the health sector, referred to by the WHO, and to list medical institutions those 500 injured people applied to, to provide information on who provided this number, who diagnosed, established the causes of death, and so on," Gatilov said. Gatilov emphasized the WHO statement came as new tensions have emerged and are escalating in Syria. "We consider it unacceptable… and as an example of the irresponsible distribution of groundless and unsubstantiated information provoking those forces, which continue to kindle the Syrian conflict, and may lead to new hostilities," Gatilov stated. Such statements are encouraging those seeking to apply military scenarios in Syria, Gatilov stressed. 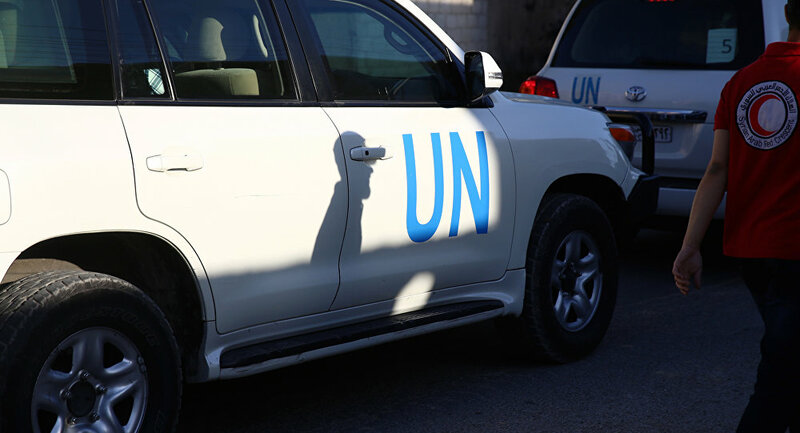 As the Russian envoy specified, the interlocutors in the WHO were unable to give comprehensive answers regarding the allegations contained in this statement. "According to our information, these partners are none other than the representatives of the infamous 'White Helmets,'" Gatilov noted. The Russian General Staff expressed concern about WHO reports, as representatives of the Syrian Arab Red Crescent and the local office of the UN coordinator in Syria, which are involved in the humanitarian operation in Eastern Ghouta, had not confirmed such information. Last week, the West accused Damascus of conducting an alleged chemical attack in Douma. Moscow refuted media reports about the chlorine bomb allegedly dropped by the Syrian military. The Russian Foreign Ministry said the goal of the false reports about the chemical attack was to provide cover for terrorists and justify the possible use of military force against Syrian leader Bashar Assad. Representatives of the Russian Center for Syrian reconciliation, among whom were specialists in radiation, chemical and biological defense and medical personnel, conducted an inspection of places in the Syrian city of Douma, where chemical weapons were allegedly used. The results of the inspection showed that there were no traces of any toxic agents. Also, the center added that the military doctors visited the medical facility in the city, where they did not find signs of chemical poisoning or exposure to toxic agents among the patients. On March 13, the General Staff of Russia's Armed Forces reported that a staged chemical attack was being planned by terrorists in Eastern Ghouta. The Russian military assumed that the United States would use this provocation for justifying possible external military action against the Syrian government.